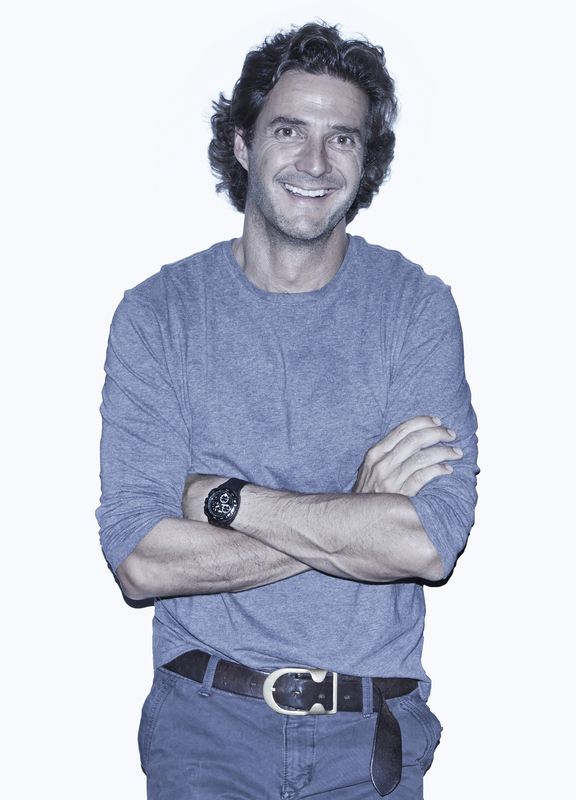 One Man's Trash, Another Man's Fashion Brand Spanish entrepreneur Javier Goyeneche is looking to transform the world of sustainable fashion, with clothes that are made out of 80 or 90 percent recycled materials — from tires to old fishing nets. Javier Goyeneche contends that trash can be transformed into beautiful cloth — with a much higher percentage of recycled materials than found in most commercially popular recycled fabrics. Trying to save the world today can take on many forms. For Javier Goyeneche, a 44-year-old Spanish entrepreneur, it happens to involve trash — discarded tires, leftover coffee grounds, even old fishing nets from the sea. He's not just recycling them; he's using them to make a fashion statement. Goyeneche is challenging the world of sustainable fashion with ECOALF, a Madrid-based brand that's exploring new ground in scooping up the detritus of the industrial world and converting it into something people will pay good money for — backpacks, coats and swimwear. The company — named after Goyeneche's first son, Alfredo — was only a concept five years ago, but today, two years after its first line hit the stores, the brand has had an early boost from limited-edition products for some high-profile partners and friends, like Apple, Barneys and the queen of eco-friendly high living, Gwyneth Paltrow. Recently, the company has worked with Will.i.am to develop the first line of outdoor accessories for his new company, Ekocycle, which, in partnership with Coca-Cola, aims to give plastic bottles a second life. Speaking quickly as he paces about his office — a large, white, minimalist space that serves as shop, showroom and headquarters — Goyeneche contends that junk really can be made into some beautiful fabrics. And when he talks this way, it's easy to get caught up in his excitement. He's a fit and handsome guy, handsome in a very Spanish way, with thick, wavy hair and a charming smile. The son of an engineer and a professional golfer, he says he never imagined becoming a fashion entrepreneur. Instead, he grew up wanting to be "a million different things." Unable to focus on one, he studied business management and at age 24 created his first brand of accessories, called Fun&Basics, which he recently sold to focus solely on ECOALF. It's a tough time for business in Spain, where the euro crisis has led to a drop in retail sales, but ECOALF is focusing on stronger foreign markets, with most customers in the U.S., Japan and Northern Europe. Spain's just 10 percent of sales. Turnover has doubled in the last year, Goyeneche says. Still, it's relatively small, with $4.2 million in sales expected this year and 21 full-time employees. Goyeneche didn't invent the idea of recycled fashion materials. Companies like Patagonia have been recycling polyester from bottles since the '90s. Marks & Spencer recently introduced a coat made from recycled wool, and H&M is using recycled cotton in some jeans. So what's so special about ECOALF? While most recycled fabrics commercialized today contain 15 or 20 percent recycled materials, Goyeneche's clothes use 80 to 100 percent. Of all the materials he uses, the most interesting have got to be old fishing nets. For Goyeneche, they're a fashion treasure because they're often more than a mile long, and made of high-quality nylon that fishermen need to change out every two to three years. Now instead of being dumped into the ocean, the nets are collected by ECOALF; for every half pound of fishing nets collected, the brand produces roughly a yard of fabric. So far, the company has recycled a remarkable 24 tons of fishing nets, along with 24 million plastic bottles. "ECOALF is one of the very few [sustainable fashion] brands which are, style-wise, very mass-market compatible. This is a very big advantage," says German fashion designer Magdalena Schaffrin. But the company's products don't come cheap; $250 for a coat and $105 for a pair of shoes are not quite mass-market affordable. And that's likely to be ECOALF's major challenge as it grows. Esben Rahbek Gjerdrum Pedersen, director of the Center for Corporate Social Responsibility at the Copenhagen Business School, says that most consumers look first at quality, price and convenience, where ECOALF has to compete to be mainstream. "Then sustainability can be an important differentiator," he says. Staying fresh in the fast-paced world of fashion is also an expensive challenge. "It's difficult to be innovating all the time. A fabric you used last season will probably not be useful the next," says Goyeneche, adding that his company spends up to 17 percent of its income on research and development, a factor keeping prices high. But back to his fishing net fashion: Some 3,000 Spanish trawl fishermen plan to provide the company with trash from nets — instead of throwing it back — so the company can recycle the plastics from bottles and bags and turn them into string. Goyeneche's biggest dream is to turn one of the huge Pacific Ocean trash vortexes into fashionable backpacks and minimalist coats. "Of course, it's not the easiest or cheapest way to do things," he says. Or likely the most profitable.